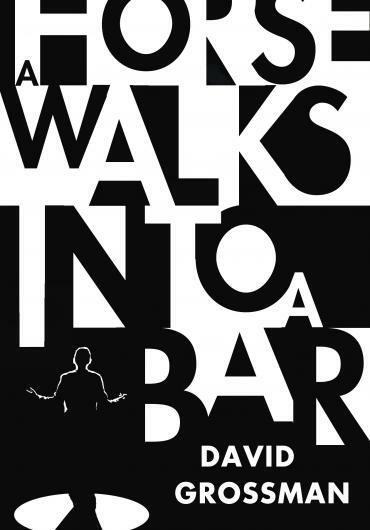 David Grossman’s novel, A Horse Walks into a Bar, uses standup comedy as a rhetorical technique, but at the same time it poses interesting questions about the interplay of man and vocation. How does a man’s personality and experience shape the way he works out his vocation? On the flip side, how does the practice of vocation shape the nature of the man? As Dovaleh reveals the boy that he was, the reader sees his path to standup. Walking on his hands honed the performer in him and caused him to see life from his own unique slant. The reader ponders his attacks on his audience and sees a darker side emerge. The control of the microphone gives Dovaleh a platform to vent all those pent-up emotions for the crimes of childhood he endured. From the bullied boy, the man-bully emerges in a wholly acceptable venue. Victimization morphs into a style of humor, a mode of artistry. While the fit between man and vocation seems obvious to the reader, the way that the comic was shaped by his vocational choice is more difficult to discern. Did he, in fact, become more sardonic as the years passed or more deeply paranoic as he reveled in his own life suffering? When life is turned into comedy, does the purveyor of the narrative buy into his own product? Does the probing of the wound increase the infection? This entry was posted in Uncategorized on May 26, 2017 by Rosanne Osborne.